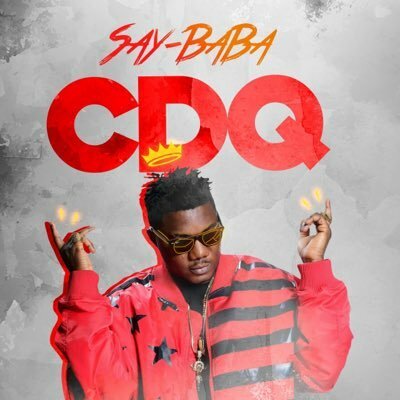 Despite the humiliation that came with his alleged ejection from former house over his inability to renew his rent, Nigerian indigenous rap artiste Sodiq Abubakar widely known as CDQ is ready for the official launch of his sophomore album. Accordingly, the rapper has made available the track-list of his album as well as other relevant details. He titled the album ‘Ibile Mugabe’, suggesting that he picked some bits of inspiration from ex Zimbabwe president, Robert Mugabe. This hints on the possibility that the album will be filled with witty comments like those of the ex-Zimbabwe president. The album cover art and track-list have also been unveiled. The track-list reveals collaborations with acts like Davido, Tiwa Savage, Wizkid, Mr. Eazi, Reminisce, etc. It would also contain 17 tracks in all. The brain behind the album’s production is none other than revered Naija producer, Masterkraft alongside Big Mouse, DJ Maphorisa, JayPizzle etc. The album will be available for all November 16. The album track-list was shared on CDQ’s IG page by the singer for his fans to see and anticipate. He also asked his fans to help make the album track-list go viral. The album is already highly anticipated. But ask for the ejection issue, CDQ has totally ignored the matter.